Every year, gas prices tend to go up during the summer months, and this year is no exception. 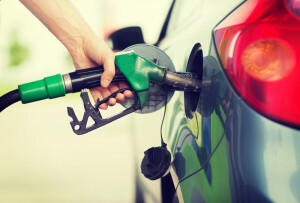 According to a GasBuddy.com report released by USA Today, gas prices will go up by 66 cents at the peak of summer from January lows. Although GasBuddy.com predicts that prices should back down by the end of the year, 66 cents per gallon isn’t something to scoff at – especially when motorists tend to drive more during the summer months. Now you don’t need to buy an electric vehicle if you’re looking to save money on energy (although that would certainly help). Instead, there are some easy ways to save on gas that you start doing today. Purchase Gas Late at Night or Early in the Morning: Gas stations usually change their prices during the day. Therefore, if you have a hunch that the price will go up soon, be sure to purchase gas late at night or early in the morning before the prices go up. Perform Routine Maintenance on Your Car: Haven’t had your car’s oil changed in a while? You might want to take your car to a mechanic. You may not just prevent a major problem down the road; you will also improve your car’s gas mileage. High performance means greater efficiency and, therefore, better utilization of gas. Don’t Be a Speed Demon: According to one report from Edmunds.com, motorists that sped, rapidly accelerated, braked quickly, and had other aggressive driving tendencies used as much as 30% more gas than those who didn’t. It is also much safer. And it could help you save money as well in insurance costs. ETags.com helps customers find the lowest insurance rates, and it can tell you that speeding tickets and accidents caused by aggressive driving will certainly increase your rate. Don’t Turn Your Car into a Storage Unit: Another easy way to lower your gas consumption this summer is to keep your haul to a minimum. Obviously, if you make a trip to the beach, you’ll want to bring a cooler, beach chairs, and other supplies. However, if you keep that stuff in your car a week after because you’ll get around to cleaning out your car, you’re only doing yourself a disservice. For every extra 250 pounds in the car, you lose a gallon per mile. As summer approaches, try these tried and true methods to help you lower your gas bill, so you can spend that money on more fun things this summer – like mini-golf and ice cream! What Are the Annual Costs of Owning a Car? 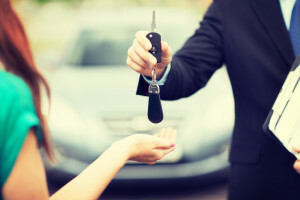 If you’re considering purchasing a new or used automobile, it’s important to realize that your total costs of ownership will go beyond the price tag. In fact, the average automobile owner will spend thousands of dollars a year to drive their automobiles. According to AAA study released last year, the annual cost to own, operate, and maintain an automobile in 2015 was $8,698. This number is actually down two percent from the previous year, but it does go to show that a car is an ongoing investment or expense depending on how you look at it. Let’s review where your money is going and see if there are ways you can reduce these costs to keep more money in your pocket. It might even mean reconsidering the type of automobile you purchase. Fuel: The cost of gasoline and diesel have gone down the past few years, but a motorist can still expect to spend an average of $1,700 a year on fuel. If you wish to lower these costs, you may want to consider the type of car you wish to purchase and choose one with top fuel efficiency or ones powered by alternative energy sources like EVs. Depreciation: When you buy a car, it will unfortunately go down in value after it leaves the lot. The marketplace has a glut of used cars as more individuals are purchasing new cars. This glut creates less demand, lowering the value of used cars. In 2015, depreciation costs went up 4% to nearly $3,700. Finance Charges: If you plan on financing your automobile, you can expect to spend hundreds of dollars a year in financing charges. This will depend on the type of car you purchase, the price tag of that automobile, the amount of money you put down, and your credit score. Registration/License Fees: After paying the licensing and titling fees at the time you purchase the vehicle, each year, you will need to renew your registration to legally drive your automobile in your state. Failure to do so within the required time frame, can result in late fees, citations, and more. You can either pay at the state DMV office or use an online service provider like eTags.com if you don’t feel like waiting in line or can’t get to the office during business hours. Insurance: Automobile owners spend nearly $1,200 a year on auto insurance. There are a number of factors that will influence these costs though. Where you live, age, gender, previous driver history, the type of car you drive, credit history, and other criteria can all affect how much you spend on insurance each year. Maintenance/Repairs: In order to maximize the lifetime and performance of your automobile, you will need to pay for preventative maintenance costs and any necessary repairs. This will obviously differ depending on the type of work required for that year, but AAA estimates that drivers spend nearly $800 a year on maintenance and repair costs. Owners may be able to reduce these costs significantly by following an organized maintenance schedule.